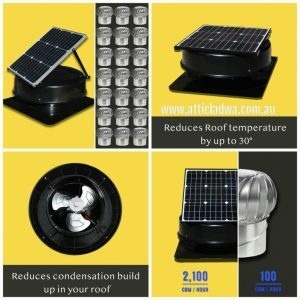 When you need storage ideas and solutions, you naturally look at reviews online, Attic Lad WA provide a 5 star service installing attic ladders in your home. We also provide an extra service installing solar roof vents to ensure we can make your new attic storage as comfortable as possible. We recently did 2 jobs in Wanneroo where both clients needed solar vents installed to ensure their roof space was kept at an average temperature. Both clients also requested us to install a wider attic ladder hatch. We like to keep our clients happy so we completed their request in great time. 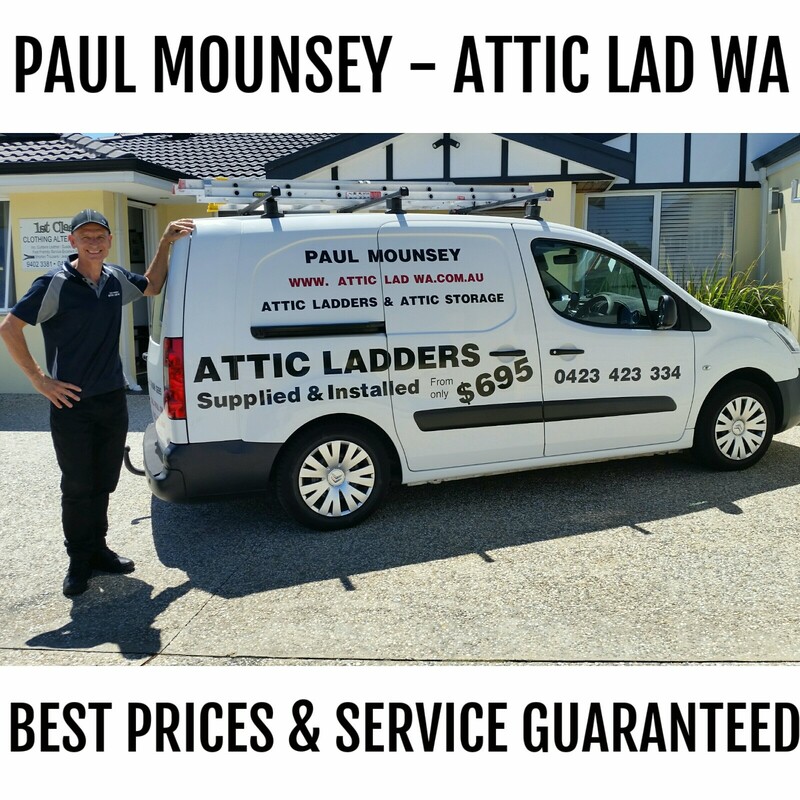 Andy Hughes recommends Paul Mounsey Attic Lad WA Attic ladder & Attic Storage installations. By installing these attic ladders we have provided both properties with extra room for storage solutions. The solar vents have also provided both properties with a cooler home in summer by replacing the hot air in the roof space thus then providing a warmer home in winter . Completing both these jobs we have now added value to their homes.